With 14 million employees in the U.S. retail industry, it's reasonable to expect that some of those retail employees would have grievances against their retail employers that would evolve into legal actions. By examining the details of these retail employee lawsuits, court filings and the retail employers' settlements and court awards, some bad employment and workplace practices of individual retailers begin to reveal themselves and some common employment trends in the retail industry begin to emerge. Click through the photo gallery below to read the surprising and unusual details of employee lawsuits against some of the world's largest retail chains, and calculate the settlements, court awards, and legal fees paid by retailers which are, of course, eventually passed on to retail customers. September 2012 - A class action lawsuit on behalf of approximately 700 female employees claims that the process used to promote employees to supervisory and management positions systemically discriminates against female employees. Reportedly, 561 Costco employees were promoted to assistant general manager between 1990 and 2004, but only 103 of those promotions went to women. The class action lawsuit claims that the process used to choose employees for promotion does not allow women to compete fairly. 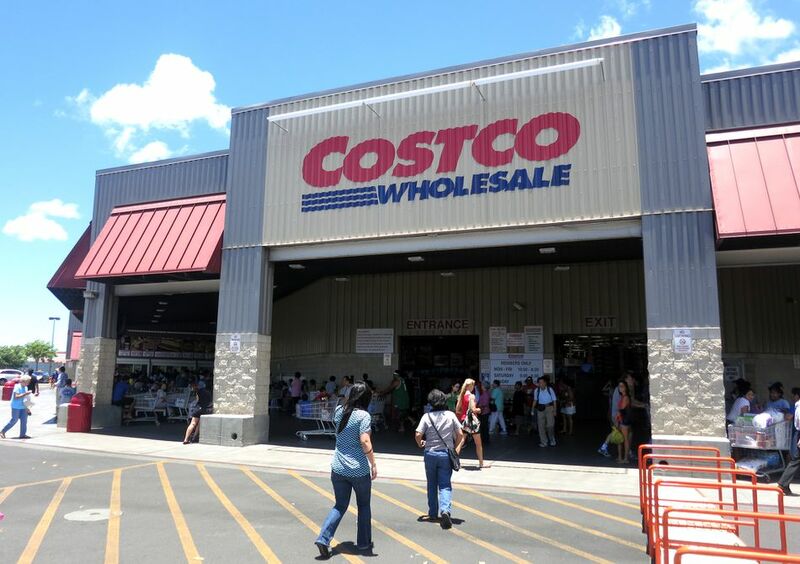 In September 2012, a U.S. District Court in California certified the class of female Costco employees and gave lawyers approval to move forward with the lawsuit. The Costco class action was initiated several years ago and put on hold while the Wal-Mart corporation defended itself against a similar class-action lawsuit filed on behalf of 1.5 million of its female employees. Although Wal-Mart successfully thwarted the certification of the class in that action, the opinion of the Supreme Court actually provided a basis for reviving the Costco class action case. After it was deemed that the Wal-Mart case was not a valid class action because Wal-Mart didn't have a company-wide policy that created discrimination, lawyers for the female employees in the Costco class used company-wide promotion practices as the basis to gain approval to move forward with their class action. Reportedly Costco does not post open managerial positions and allow employees to apply for them but rather hand-picks the assistant general managers for its warehouse stores, which results in a disproportionate number of men receiving promotions. After being passed over several times for promotion, a Dollar General employee contacted the Equal Employment Opportunity Commission (EEOC) regarding a racial discrimination claim, believing that the cause of her stifled Dollar General career was connected to the fact that she was the store’s only black employee. Allegedly when the Dollar General leadership team at the Long Beach, California store where Demetrice Hersey worked found out about her EEOC activities, they subjected her to personal and professional harassment, and eventually fired Hersey altogether. The EEOC is seeking back pay and punitive damages for Hersey, as well as a definitive change to Dollar General policies which would proactively provide equal opportunities for black employees in the future. Ironically, the Dollar General corporate values specifically address the Dollar General workplace atmosphere and employee development opportunities and imply that Dollar General employees would have an experience that is quite opposite of Hersey's claims. A district court judge in Colorado ruled against Dollar Tree’s objections to class certification and allowed lawyers to proceed with the class action lawsuit that was filed on behalf of Dollar Tree Assistant store managers. The lawsuit claims that the Dollar Tree retail chain has been operating in violation of Fair Labor Standards Act (FLSA) with a combination of policies that required Dollar Tree assistant store managers to work without pay and work more than 40 hours per week without overtime pay. Allegedly, Dollar Tree has a policy that no less than two people can be working at the store at the same time. Since assistant store managers were routinely scheduled to work with only one other employee, they were unable to take mandatory 30-minute meal breaks without violating company policy. Additionally, the assistant managers allege that Dollar Tree required them to make bank deposits after their shift was over and they were officially clocked out. Lawyers for the Dollar Tree assistant managers contend that all Dollar Tree assistant store managers are “similarly situated,” and a judge in a Colorado district court agreed. Although this was a victory for the Dollar Tree employees, the court did not go so far as to certify the class, which lawyers for the Dollar Tree stores claims as a victory and a positive sign that the class will be decertified in the next step of the class action process. Seemingly Dollar Tree is not denying the allegations of the assistant store managers. Rather, they are defending against the right of the assistant store managers to sue as a group, instead of filing separate lawsuits with individual claims. August 2012 - Two years after a high school senior was not allowed to work as a cashier in a Dallas, Texas Burger King restaurant because she insisted on wearing a skirt instead of the usual uniform pants, the EEOC has filed a lawsuit on behalf of the girl, claiming religious discrimination. The EEOC’s position is that this is an issue of religious liberties in the workplace. The EEOC is seeking actual and punitive damages for the employee, who was denied hourly employment at the Burger King location in 2010, along with an injunction against the restaurant. The high school applicant originally requested the uniform accommodation because her Pentecostal religion did not allow women to wear men’s style clothing, which includes pants. Lawyers claim that Burger King or any employer has no right to deny any request presented as a “religious accommodation” unless it creates an “undue hardship. August 2012 - The most secure jobs in the U.S. have got to belong the Wal-mart legal team, which never seems to run out of the need to find creative ways to defend the world's largest retail chain. One of the most recent legal actions which did not help the Wal-Mart legal win average was a disability discrimination lawsuit filed by the EEOC on behalf of a 22-year old Wal-Mart employee. Wal-Mart agreed to pay $50,000 to a former part-time employee in Carlsbad, New Mexico. After returning to her Wal-Mart job after being on medical leave related to cerebral palsy, the employee was told by her store manager that she would not be allowed to take breaks off her feet, even though she had a note from her doctor requesting the temporary accommodation. The store manager refused to put the employee back on the schedule, which the EEOC claimed was in violation of the Americans with Disabilities Act (ADA). A Wal-Mart spokesperson labeled the case as an isolated incident and noted that the store manager was not fully in compliance with Wal-Mart company policies. The store manager is no longer employed at the Carlsbad Wal-Mart, although there was no official statement about whether the termination was related to this employee disability discrimination lawsuit. August 2012 - A former employee of Hallmark in Lawrence, Kansas was dismissed from court and sent back into arbitration to settle a dispute with the greeting card company over her discharge. Jana Hague filed a lawsuit against Hallmark after a medical leave of absence was first approved and then denied by Hallmark, leading to her subsequent termination. A Kansas Court of Appeals judge ruled that the employee's claims were subject to mandatory arbitration and that as an employee of Hallmark, Hague was bound by the procedures of Hallmark's dispute resolution program. In the ruling, all legal actions by Hague were ordered to stop until the arbitration process had run its course. August 2012 - Chrysler has been ordered to pay an employee at its Belvidere, Illinois Assembly Plant $3.5 million as the result of a racial discrimination lawsuit. The seventh circuit court of appeals ruled in favor of the 20-year Chrysler employee as compensation for the behaviors of his Chrysler co-workers who used racial slurs, made death threats, and harassing graffiti painted on the walls of the Chrysler plant. The Seventh Circuit Court of Appeals in Illinois ruled not only was the homosexual Jewish employee the victim of discrimination but also that the Chrysler Group was partially responsible because plant management didn't do enough to stop the harassment. This is particularly ironic since Chrysler was included on the Diversity Inc. 2012 Best Employers for Diversity list. The $3.5 million judgment is the largest settlement awarded for am employee racial discrimination lawsuit in the state of Illinois. A high school senior is suing the McDonald's chain after he was reportedly savagely beaten by his boss during an argument at work. The beating reportedly was savage and took place in front of other McDonald's employees who did nothing to stop it. Not to make light of a horrific incident, but this boss beating certainly does put into perspective what constitutes a "hostile work environment." Best Buy has reportedly agreed to pay $902,000 to employees who were forced to clock out and then wait for a physical security check before they could leave work. A similar case is pending against CVS, which reportedly also requires that employees wait for security searches without compensation for their time. in September 2010, a Florida woman was awarded $8.1 million by a jury for being wrongfully terminated by Michael's craft stores. The employee reportedly had undergone a double mastectomy and was in the middle of chemotherapy treatments when she was falsely accused of stealing and then fired. The fabricated theft allegation and the subsequent termination were found to be in violation of the Americans with Disabilities Act and the Family Medical Leave Act. Michael's was ordered to pay the employee $4 million for pain and suffering, $4 million for punitive damages, and $100,000 for lost wages. A former Whataburger employee in Euless filed a wrongful termination suit against the Whataburger chain of hamburger restaurants in November 2010. The employee claimed that he was fired solely because he was dating a black woman and that Whataburger managers had openly had expressed their disapproval about. A Whataburger representative denied the employee firing was not connected to any racial or discrimination issues but did not offer any alternate explanation for the firing.